The Hospitality Sales and Marketing Association International (HSMAI) is honored to name Christian Boerger, CRME, corporate director of revenue strategy, Pacific Hospitality Group, as its Corporate Revenue Management Professional of the Year; Emily Bowen, CRME, director of revenue, reservation and distribution, Penn State Hospitality Services, as its Single/Multi-unit Revenue Management Professional of the Year; and Dr. Ravi Mehrotra, who co-founded IDeaS Revenue Solutions in 1989, with the Vanguard Award for Lifetime Achievement in Revenue Management. HSMAI is thrilled to recognize these individuals who exemplify leadership and have proven themselves in a discipline that has transformed the performance of the hotel industry,” said Bob Gilbert, CHME, CHBA, president and CEO of HSMAI. The Hospitality Sales and Marketing Association International (HSMAI) is honored to name Christian Boerger, CRME, corporate director of revenue strategy, Pacific Hospitality Group, as its Corporate Revenue Management Professional of the Year and Emily Bowen, CRME, director of revenue, reservation and distribution, Penn State Hospitality Services, as its Single/Multi-unit Revenue Management Professional of the Year. These awards are co-presented by Rainmaker. In addition, HSMAI is honoring Dr. Ravi Mehrotra, who co-founded IDeaS Revenue Solutions in 1989, with the Vanguard Award for Lifetime Achievement in Revenue Management, for achievements and contributions to the hospitality industry and the revenue management discipline. The Revenue Management Professional award honors revenue management professionals who have left an indelible mark on the field of pricing and revenue optimization in the hospitality industry. It recognizes individuals who have spent a major portion of their careers in the revenue management profession and have contributed to the betterment of the industry in a significant and lasting way, over an extended period of time. 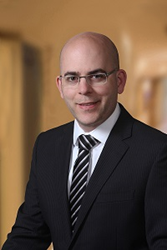 The Corporate Revenue Management Professional of the Year, Christian Boerger, is responsible for guiding and supporting all group wide revenue processes as well as leading the long term distribution strategy for the company. Christian has more than 15 years’ of international experience in the hospitality industry having held a number of positions in Revenue Management and Operations at luxury and boutique hotel brands such as Mandarin Oriental, Four Seasons, Design Hotels™ and InterContinental. Christian has lived and worked in the United Kingdom, Germany and the Middle East. He is a member of the HSMAI Revenue Management Advisory Board in the US and has previously served as chairman of the board of the HSMAI Europe Revenue Management Advisory Board. 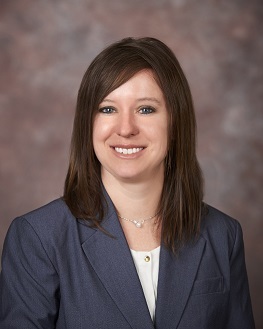 The Single/Multi-unit Revenue Management Professional of the Year, Emily Bowen, has been in the hospitality industry for 13 years, leading a variety of teams in operational and strategic management. She credits the amazing teams she works with at her Alma Mater, Penn State, where she proudly serves in a leadership role in Hospitality Services. The 2nd-ever Vanguard Award for Lifetime Achievement in Revenue Management honors achievements and contributions to the hospitality industry and the revenue management discipline. 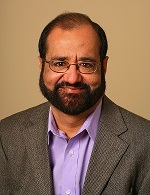 Dr. Ravi Mehrotra co-founded IDeaS Revenue Solutions in 1989 with an initial focus on developing client server-based revenue management systems for the airline industry, but soon discovered that the hotel industry would greatly benefit from that technology as well, growing IDeaS to a leading global, cloud-based revenue management solutions provider with more than 7,000 clients worldwide Today, Dr. Mehrotra remains an active and hands-on executive and scientist at IDeaS, passionate about researching increasingly sophisticated methods for dynamic pricing that optimize expected profits over longer time horizons. The winners will be honored at HSMAI’s 13th Revenue Optimization Conference (ROC) in New Orleans on June 22. The conference annually attracts more than 500 revenue management leaders to discuss the latest trends and best practices in the industry. “HSMAI is thrilled to recognize these individuals who exemplify leadership and have proven themselves in a discipline that has transformed the performance of the hotel industry – and continues to evolve daily,” said Bob Gilbert, CHME, CHBA, president and CEO of HSMAI. Nominations for the Revenue Management Professional of the Year Award and Vanguard Award for Lifetime Achievement in Revenue Management come from HSMAI chapters and the industry at large, and nominees represent the very best in revenue management. Nominees are judged by a panel of revenue management leaders on a variety of criteria.